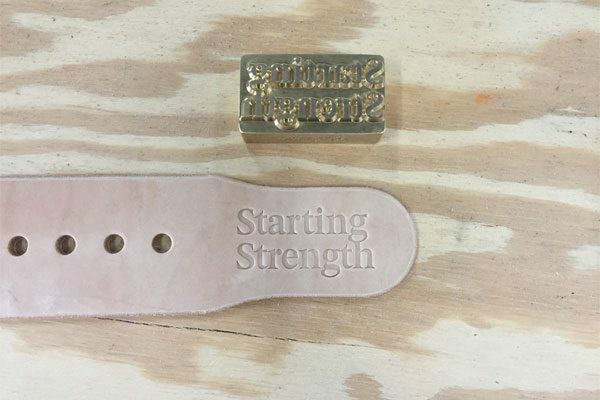 Dominion Strength Training is the sole producer of Starting Strength belts. Our belt's design, materials, and construction have been reviewed and approved by Mark Rippetoe to carry his company's brand. 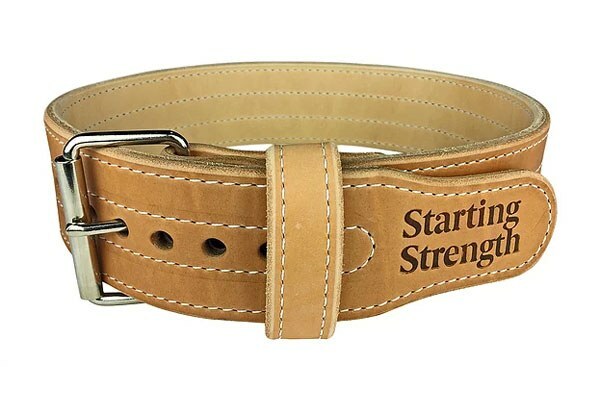 Starting Strength 3 inch, single-ply, weightlifting belt. Top grain sole bend leather. Single ply treated 6.5-7mm thick. Single prong seamless roller buckle. American craftsmanship. Starting Strength 3 inch, double-ply, weightlifting belt. Top grain sole bend and skirting leather. Double ply oil treated treated 10mm thick. Single prong seamless roller buckle. American craftsmanship. Curious about the differences between the belts? Read this discussion on Dominion Belts. Blake Wilson clarifies the construction and pricing differences between the two belts.